We got ourselves into a sweet mess of desi khaana and Punjabi music the moment we stepped into President Dhaba Bar & Kitchen. This new themed restaurant in Jubilee Hills is every bit Instagram-able with colourful wall frames, window installations on walls. With a fine mix of charpai, regular, and high table seating, we recommend you go for the charpai seating with your squad and eat your Monday blues away. Fold your legs and eat biryani with your hands? Yes, sir, you can do that. 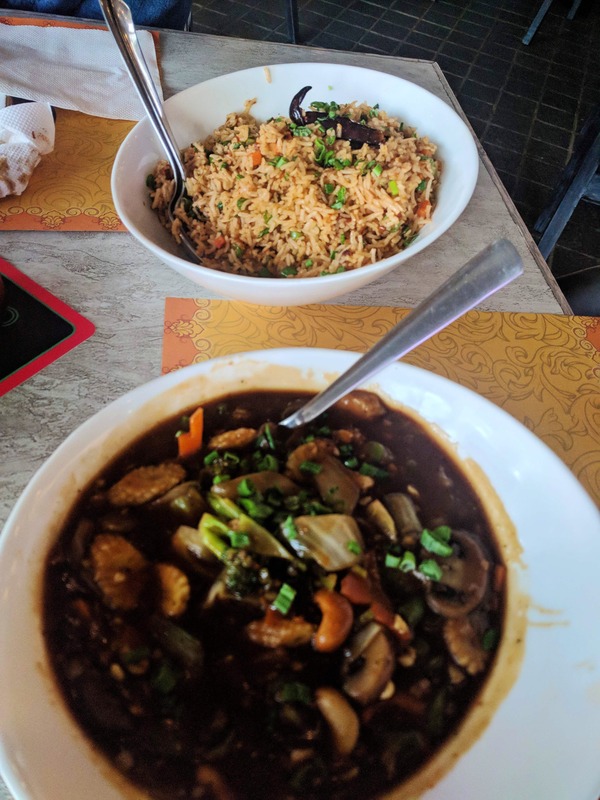 You really cannot go wrong with their Chilli Mushroom, Tai Pai Chicken, Schezwan or Manchow Fried Rice that you can pair with Mix Veg With Cashew Nuts or Wok Cashew Nut Chicken. The dishes are super spicy but if you are sipping some chilled beer or Old Monk, there's nothing quite like it. The kabab lover in you can go nuts over Kalmi Kabab or Adraki Gosht. Whatever is your choice, do know that you can fall back on rabdi or Patiala Lassi for a sweet treat. We recommend trying out the bar nibbles (Fata Fat) like Peanut Platter, Desi Nachos, and Desi French Fries with Kheema. Plus, the service is amazing at the restaurant so if you're clueless what to order from the huge menu, don't be shy and ask the staff. We wish they had some desi version of cocktails.